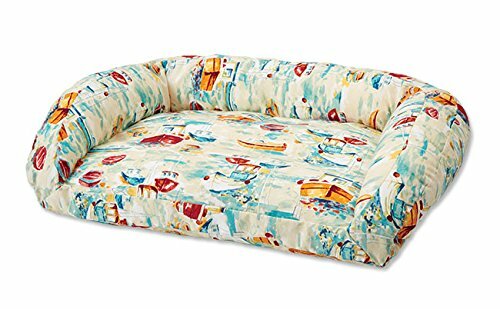 A sleek shape, a soft quilted sleep surface, and a streamlined bolster make this one great-looking and great-feeling ComfortFill dog bed. The springy and responsive ComfortFill cushion refuses to flatten or clump, no matter how much your dog moves around-perfect for dogs who nuzzle, nest, and burrow to get comfortable. 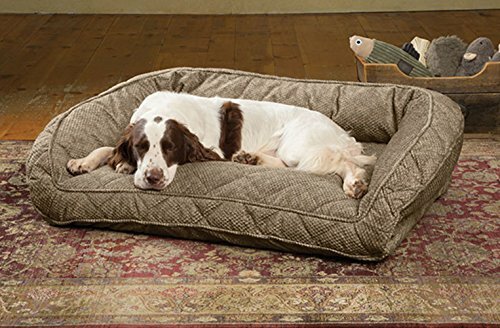 The three-sided bolster provides security and support for dogs who prefer a place to lean or rest their head, while the one open side makes this bed easy for dogs of all ages to get on and off. The upholstery-grade cover is as durable as it is incredibly soft. Polyester. Washable. Allow 2 extra days for delivery. Imported.